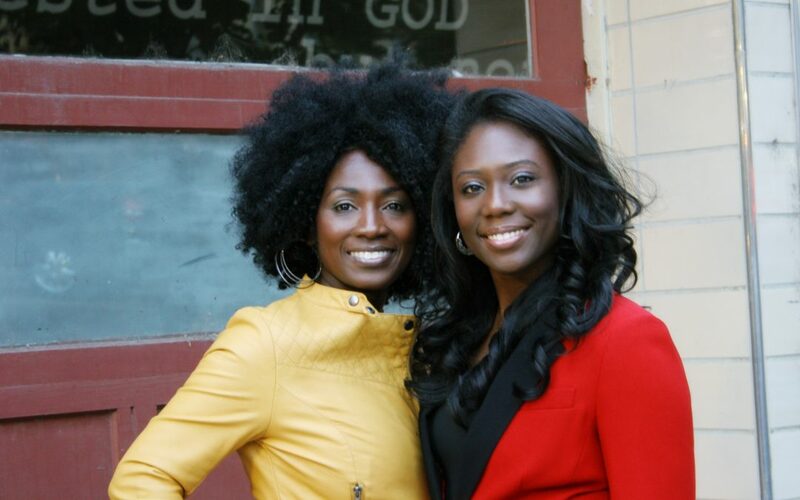 “Sistas in Zion” is the name of the blog and podcast run by Zandra Vranes and her longtime friend Tamu Smith. Together, they are trying to break down the stereotypes that surround Mormons, like being “white, rich, and serious.” Vranes says that “I’m black, broke, and funny, and I’m Mormon too!” They state their shared mission as to provide “a relief from sobriety where hilarity never faileth.” They are authors of the book Diary of Two Mad Black Mormons. Vranes was raised in Georgia and moved to Utah as a teenager. She didn’t realize that she would be such a minority in the church here and realized that, in a way, she was supposed to be an unpaid spokeswoman for diversity. Vranes said that being a minority can be hard, but she has learned to cherish her relationships with other Mormon women. Smith is a mother of six and cosmetologist, and Vranes is a paralegal. They met each other in a Utah-based Genesis group. Vranes describes the group as a “hybrid black Mormon community.” It’s actually an official group created by the First Presidency of the LDS church and was established to meet the needs of those who belong to Mormon minorities. It’s the same as any other LDS church service, but combines elements like saying “amen” or “hallelujah” during someone bearing a testimony or singing hymns that aren’t necessarily found in the traditional green LDS hymnbook. Through their blog, book, podcast and everyday work the “Sistas” hope to contribute to breaking down the stereotypes that surround LDS women. They believe that being defined as “Mormon” or just their religion can lead to some negative and incorrect assumptions. To them, diversity in the church is achieved when each member is able to take the teachings of Christ and embrace how they can personally become His disciples. Vranes said that she believes we all have a story worth telling and encourages people not to “hide their light under a bushel.” Both Smith and Vrane’s relate-able stories and sense of humor has made them popular in the both the blogging and LDS communities. You can buy their book, Diary of Two Mad Black Mormons online at Deseret Book.